Sensory integration is the process by which people register, modulate, and discriminate sensations received through the sensory systems to produce purposeful, adaptive behaviors in response to the environment (Ayres, 1976/2005). The sensory systems we depend on for input include vision, auditory, gustatory (taste), olfactory (smell), tactile (touch), proprioceptive (joint position sense), and vestibular (balance and movement). Effective integration of these sensations enables development of the skills needed to successfully participate in the variety of occupational roles we value, such as care of self and others, engagement with people and objects, and participation in social contexts. 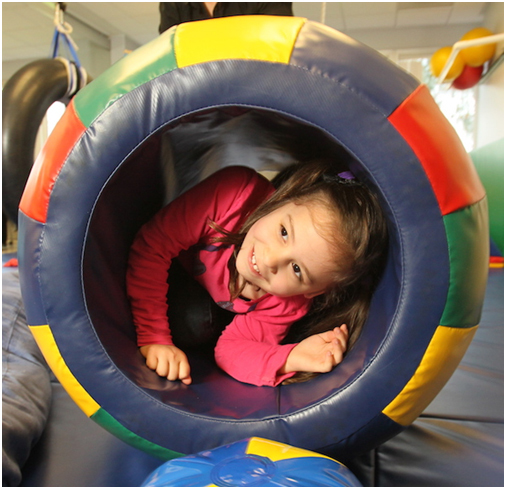 The therapeutic approach of sensory integration was originally developed by A. Jean Ayres, PhD, OTR, and is formally know as Ayres Sensory Integration® (ASI; Ayres, 1989). ASI® includes the theory of sensory integration, assessment methods to measure sensory integration, and a core set of essential intervention constructs that can be utilized to intervene with clients who have difficulty processing sensory information. As children grow, they typically develop the refined ability to appropriately register, modulate, and discriminate sensory information to support the development of effective emotion regulation, social skills, play skills, and fine motor and gross motor skills. Problems effectively integrating sensation can limit a child’s ability to attend to tasks, perform coordinated motor actions, plan and sequence novel tasks, develop social relationships, manage classroom demands, perform self-care tasks, and participate in family activities. When problems in processing sensory information interfere with the child’s ability to perform or participate in age-appropriate activities of daily life or “occupations,” occupational therapy using an ASI® approach can help to address these concerns.